Whether you are looking for recipes to beat the heat or for an excuse to fire up the barbecue, this summer recipe collection will give you some wonderful ideas for your next cookout, picnic or garden party. If you are planning a barbecue, Matthew Tomkinson's home-ground beef burger and Paul Ainsworth's BBQ mackerel are fantastic to make on the grill. For a lovely cooling dish, Shaun Rankin's chilled watercress soup is hard to beat. 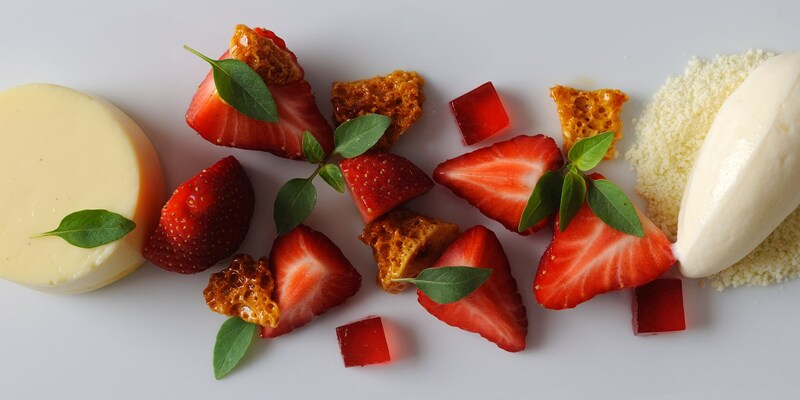 Lovely summer salads such as Simon Hulstone's golden beetroot salad, or Tom Aikens' poached salmon with watercress, are magnificent for garden parties, especially finished with Geoffrey Smeddle's beautiful Summer fruits in elderflower jelly, or Galton Blackiston's lemon thyme and garden mint ice cream. Whether the sun's blazing and you're taking your dinner outside or everything's staying nice and British and there's grey drizzle and overcast skies, one thing's for sure – a plate of something delicious made with fresh, seasonal ingredients is guaranteed to make you feel all summery.